Hankey Law Office > Articles > What is Social Security Disability Insurance? Social Security Disability Insurance (SSDI) is a monthly payment that is given to individuals who are disabled and who have worked at a job in the past where they paid Social Security taxes. These benefits are designated to those who are unable to work for at least a year or longer because of their disability. SSDI is different from Supplemental Security Income (SSI) in that SSI is a monthly payment for people with disabilities who have a very low income. Unlike SSDI, these benefits are based on the person’s resources and income. SSI and SSDI are both subject to the same listing of disabilities and the medical qualifications needed to receive payments. If you or someone you love is in need of SSDI benefits, the Indianapolis Social Security Disability attorneys of the Hankey Law Office can help. Our experienced attorneys are knowledgeable in the qualifications and procedures necessary to successfully apply for SSDI benefits. If you are looking for sound legal guidance, contact us today at 317-634-8565. To be eligible for Social Security benefits, you must have worked in a job that paid Social Security taxes and you must have a medical condition that meets the definition of a disability as defined by the Social Security Administration. There is a five-month waiting period to receive benefits. The disability must be expected to last at least one year and to be severe enough to prevent the continuance of work at a current job and the adjustment to work at a different job. It takes around 90 days for an SSDI claim to be processed. The Social Security office will periodically review your case once you receive benefits to determine whether or not you still qualify. These reassessments occur at different times depending on the prognosis for the improvement of you disability. Additional information can be found on the Social Security Administration’s website or by consulting with an experienced attorney. Do not delay seeking legal counsel or assistance if you are disabled and unable to work. 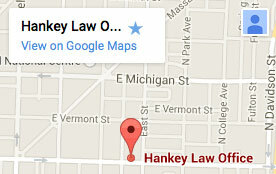 Contact the Hankey Law Office, to speak with an Indianapolis Social Security Disability attorney about your situation. Contact us by calling 317-634-8565 today.